Flying T Target creature you control with toughness 2 or less gets +1/+1 and gains flying until end of turn. 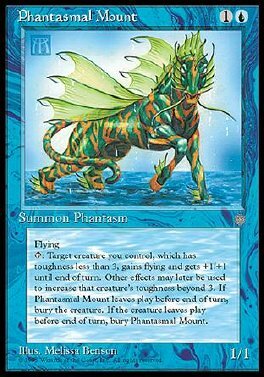 When Phantasmal Mount leaves play this turn, sacrifice that creature. When the creature leaves play this turn, sacrifice Phantasmal Mount.